You are welcome to my blog. In this blog you can get overall information about the natural disasters which had occurred on our Earth, extent of destruction they had brought and the pains they had caused to human beings. A series of floods hit Australia, beginning in December 2010, primarily in the state of Queensland including its capital city, Brisbane. 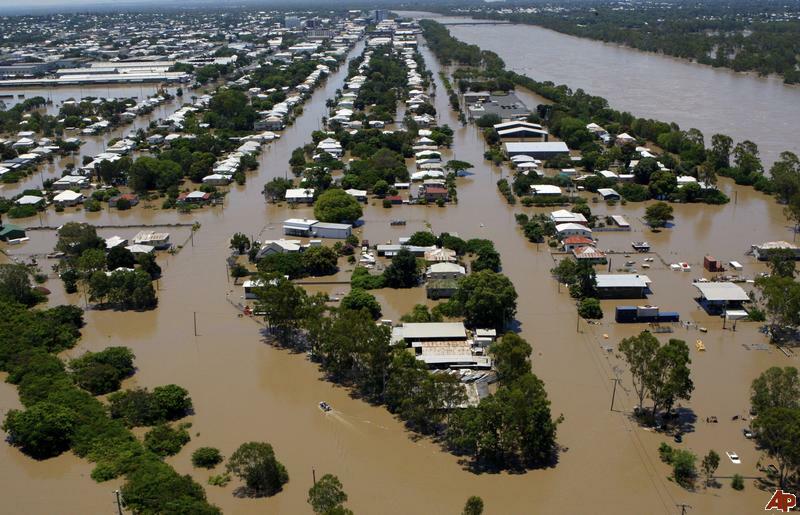 Three-quarters of the state of Queensland was declared a disaster zone. The floods forced the evacuation of thousands of people from towns and cities. At least seventy towns and over 200,000 people were affected.37 people were killed and 9 people are recorded as missing. Economic loss is estimated to be £ billion. It has been recorded as Australia's costliest natural disaster ever.